Great for countertops, range hoods, Back Splashes, Table tops and more! Ships rolled via Fedex/ UPS in an upright box. For flat (LTL) shipping, please call! 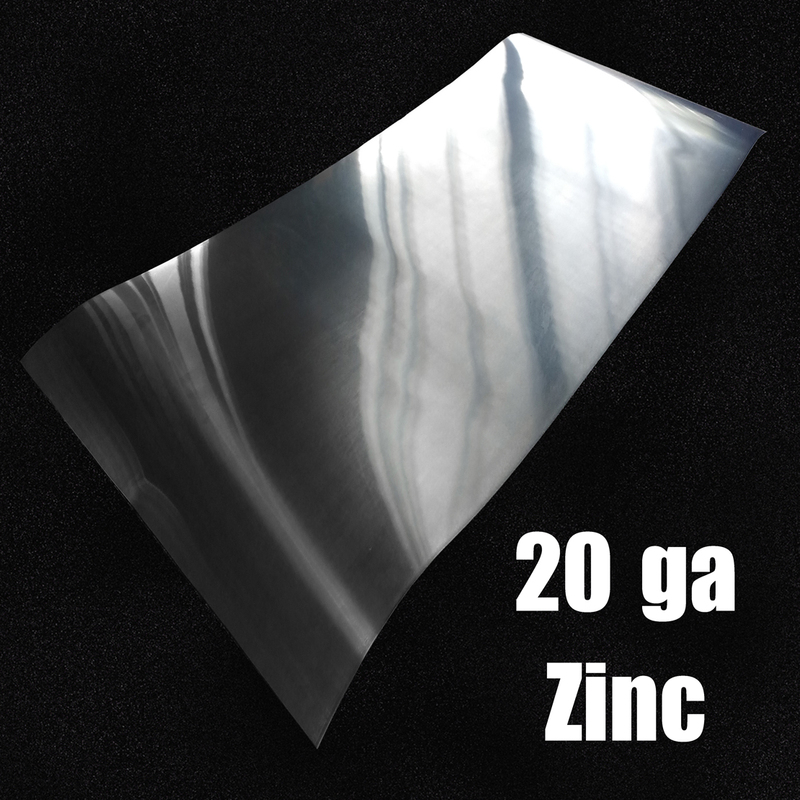 20 gauge (0.030") Zinc Sheet is durable and will stand the test of time. Easily cuts with tin snips or a metal cutting shear. To give you an idea of how thick 20 Gauge is simply reach for your wallet and grab one of your credit cards. Though we ship our sheet with the upmost care they are subject to edge curling while in transit. Curling is usually limited to the edges. This is not usually covered by UPS therefore we like to warn you to get a little wider sheet than you need to allow for this to possibly occur.